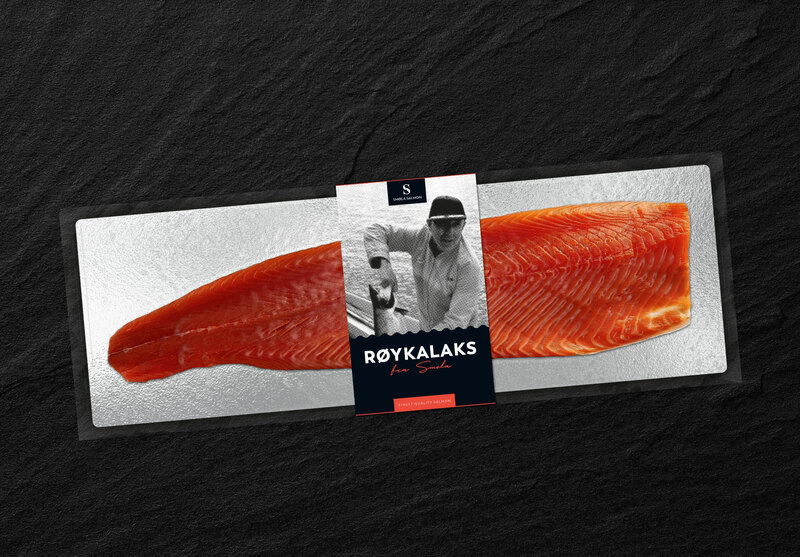 Smøla Salmon produce smoked salmon of the highest quality. Juniper smoked in the traditional way, it represents a proud craftsmanship built over generations – with locally sourced raw materials. It was time to build a strong brand based on the old recipe that spans three generations, to expand into new markets in Norway and abroad. 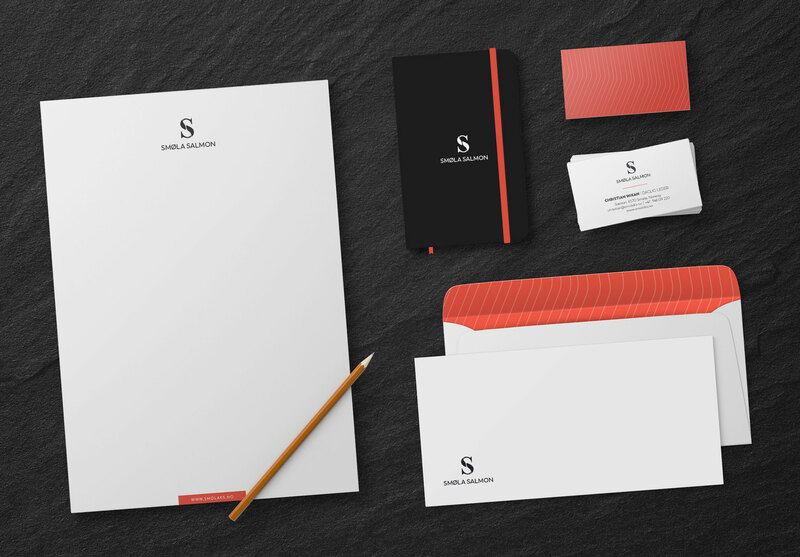 With Smøla Salmon’s passion for quality and family traditions as a benchmark, we set out to create a stylish and classic brand identity designed to appeal to an international market. 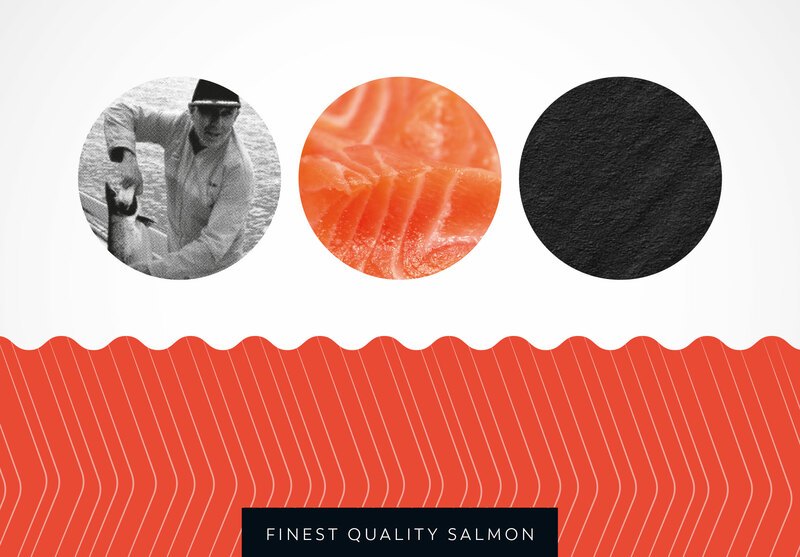 In the logo, two simplified salmon meet to form a classic “S” where the serifs double as fishtails. 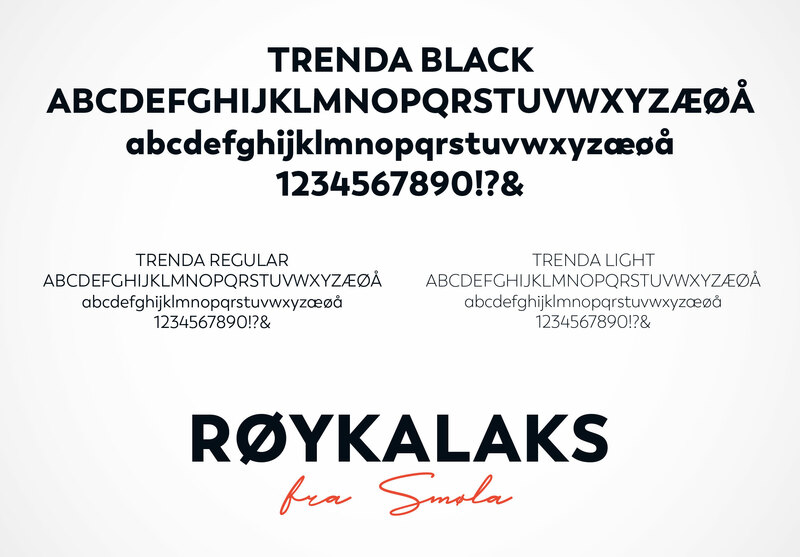 The main typography is based on a clean sans serif, while a hand written script typeface adds a touch of hand crafted tradition. The client wanted to include an old photo, to honour the man that started it all. To tie this photo together with the rest of the brand identity (and also to bypass the issues with poor image quality) the image is given a raster effect using the same shade of black. The result is a nice coupling of new and old. The product packaging is designed to keep the product in focus. A cardboard sleeve that will fit both whole sides and smaler pieces of salmon, was a cost-effective solution – especially when we were able to take advantage of co-production with a larger gift box.